At Entertainment Konnections in Broome, Western Australia - we know that people want a fast and reliable service when it comes to repairing their mobile devices. We understand how much people depend on their favourite mobile devices. That is why our highly specialised technicians provide a reliable, fast, and affordable tablet repair service to all our customers in Broome and the surrounding towns. Our team is trained to fix any type of tablet on the market such as iPads, Sony, Acer Samsung, Kindle, BlackBerry tablets and just about any other tablet devices found in Australia. Whether you want a fix for a broken charging port, broken screen, broken camera, or any other problem, your tablet is safe with our experts. Entertainment Konnections Tablet Repair is the #1 choice when it comes to repairing all of your smart devices. We specialise in offering a wide range of services which makes us stand out from the rest of the services in the region. Rest assured that our team will get your valuable tablet up and running in no time at all. We deal with a variety of devices including Apple iPads, Samsung phones, and iPhones. We repair anything from broken home buttons to cracked screens to faulty charging ports. Our certified technicians are qualified and more than ready to repair all makes and models of tablets on the market today. In fact, tablet repair is an easy task for our highly qualified and experienced technicians. We understand that everyone is busy and schedules are tight and you have no time to waste when it comes to getting your tablet repaired quickly. That is why we operate a mobile service where our technicians will meet you at a location that you choose. Whatever time and location you choose, our technician will be there to fix your tablet fast and reliably. Our business relies on 100% customer satisfaction. That is why we want to make sure your devices get restored to their original working condition as quickly as possible. 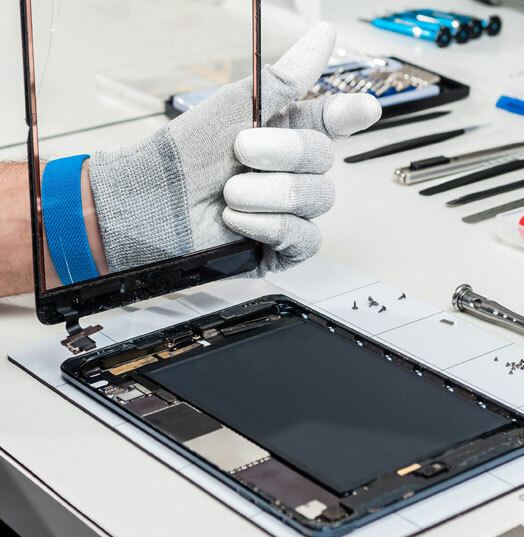 Our team can repair most of the tablet models within an hour - whether it is a screen replacement, camera repair, charging port issue, or a loudspeaker problem. All our repairs come with a comprehensive warranty since we use only quality parts for them. Make sure you call Entertainment Konnections in Broome today for all your tablet repair issues!